The highly anticipated final season of Game of Thrones is coming this Sunday, April 14th (tonight!!). No matter which king or queen you’re rooting for to win the Iron Throne, these GOT-themed cocktails will be a hit across every house of Westeros. “What is Dead, May Never Die” was inspired by House Greyjoy, and draws its flavors from the salinity of Scotland’s northeastern most distillery, Deveron. 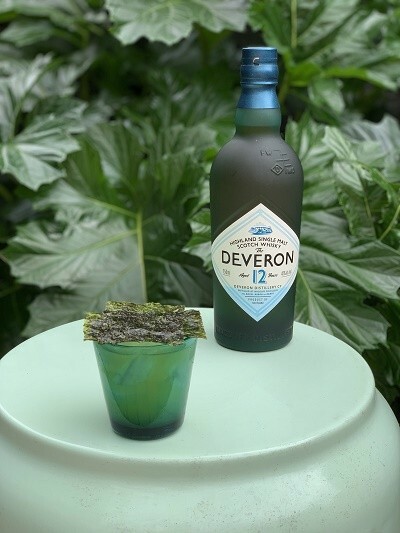 The sea-swept taste of Deveron 12 Year Old is complemented by the soft green flavors of dill and caraway from aquavit, and a touch of dried seaweed from dashi. 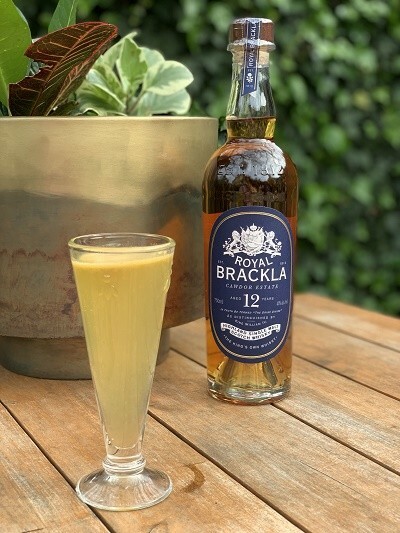 Inspired by House Baratheon, “The Usurper, Lord Paramount of the Stormlands” pairs the regal opulence of Royal Brackla 12-Year-Old Scotch whiskey, with the clean richness of fino sherry and the bright zip of passion fruit to give you a punch fit for a king. * Method for Dashi Syrup: Make a simple syrup by combining near boiling ½ cup of water and ½ cup of cane sugar. Steep 1 sheet of nori and ½ cup of bonito flake for 1 minute in hot liquid. Fine strain off all solids. Chill syrup before use. Method for Cocktail: Combine ingredients in a shaker tin over ice. Shake vigorously. Strain into large rocks glass over ice. Garnish with sheet of seaweed. Method: Combine all ingredients over ice in a shaker tin. Shake vigorously. Strain into a tall glass. Top with soda and garnish with a handful of grapes, fed to you by your cupbearer.